On Tuesday, December 18 last, several vehicles were crushed after lorries overturned on a ferry sailing from Northern Ireland to Scotland. The event prompted a major emergency response at Cairnryan port in Scotland. Fortunately no one was injured. 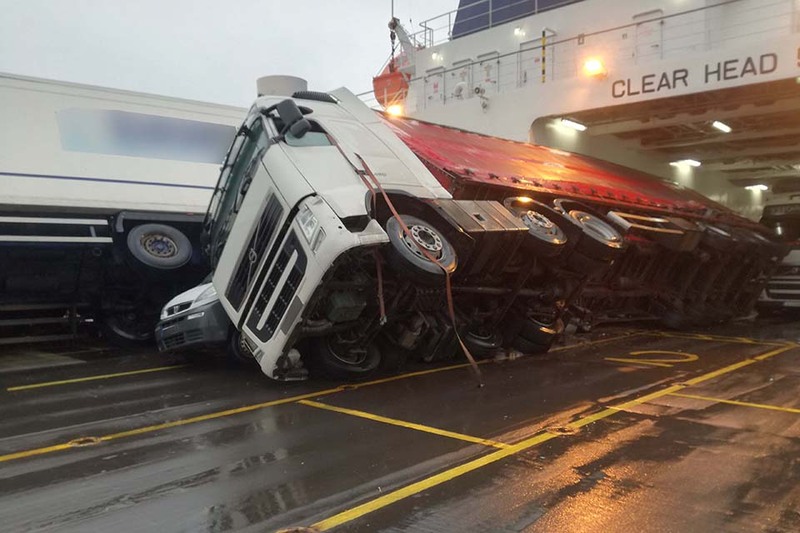 Now, the Marine Accident Investigation Branch (MAIB) has found that six drivers were in their lorries at the time of the incident and has issued a warning to drivers that remain in the cab of their lorry while on board a ro-ro deck of a ferry.